Celtic striker Leigh Griffiths has pulled out of Alex McLeish’s Scotland squad for the upcoming matches against Israel and Portugal, citing fitness reasons. I feel that I need to focus on my fitness over this international period and get back into the best possible shape. I had a good discussion with the manager to explain my decision. It’s not one that I’ve made lightly. It means a lot to me to play for Scotland and I hope to be part of Alex’s plans again in future, if selected. My aim is to be back to my best and be available for selection for club and country. It’s actually good to hear the Celtic striker want to focus on getting fully fit and impress in green and white before trying to force his way into Scotland plans, especially with one of the encounters being a meaningless friendly. That’s especially true when McLeish has made it clear that he is looking to play Steven Naismith ahead of the Hoops forward in matches, something that was reported to have caused friction between the pair recently. In the past I'd get annoyed if Celtic players pulled out of squads. I always thought it'd be a huge honour to play for my country. But since 2012 and the pish from the SFA etc, culminating in making an EBT cheat who left b4 the boss, I'd rather NO Celts represent the corrupt SFA. Tell McLeish to ram it. He was selected on masonic credentials by the corrupt SFA. All Celtic players should withdraw until an independent inquiry into Peat etc has been initiated. Correct answer from Leigh Griffiths. Why would you be a side salad for someone like Alex Mcleish. How disrespectful from Mcleish. I did not realise he had a surplus of better players for this position – time will tell ???? I`d be happy enough if no Celtic player represented Scotland under the current SFA or the tax cheat McLeish. Total respect for Leigh’s decision and I fully endorse it on both counts, i.e. the fitness issue and how he was treated by McLeish. The question of whether Celtic should withdraw their players from the national team is another debate but a very valid one. Given the historical and ongoing corruption and cover ups of the SFA together with an increasingly vicious anti-Cetic agenda as we approach 10 IAR, the club has very strong reasons for doing so. I think the only argument against such a move which holds any water is the one regarding each and every player’s individual freedom to choose whether he wants to represent his country or not. 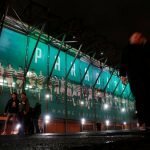 The ideal scenario would be for the players concerned to come to an agreement with the club before pulling out en masse but I know that nothing like this is ever likely to happen given the board’s apathy and lack of direct action when it comes to any kind of radical protest against the SFA.